A good milk soap keeps your skin smooth and healthy, especially if it is homemade. 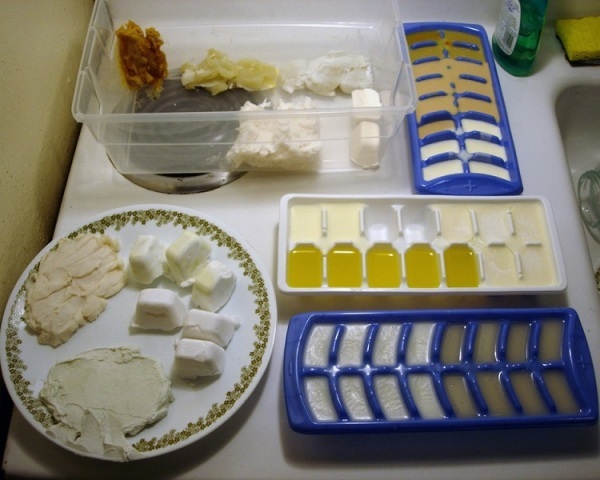 Explore this article to know how to make milk soap. Most nutritionists would agree that milk is nature’s most complete food. At the same time, it has been worshipped by the beauticians also, for its ability to nourish the skin. Milk is rich in the moisturizing properties that can make your skin look smooth, supple and shiny. It is also full of minerals, vitamins and natural lipids, which are essential in maintaining a healthy looking skin. One of the ways in which milk is used for the skin comprises of milk soap. In fact, people have been using milk to prepare milk soap in their home, since quite sometime now. These homemade soaps are now becoming a hot product in many spas and wellness centers as well. Any kind of milk can be used for making such soaps, including cow's milk, coconut milk or even buttermilk. In these preparations, milk is used along with water and mixed with Iye . Making homemade milk soap is a simple and inexpensive procedure, which you can easily try in your leisure time. Read on to know how to make milk soap. In the first step, you need to combine the shortening, cocoa butter and the oils in the large pot and place it over an extremely low flame, to make them melt. You need to make sure that the heat does not go above 125 deg F. Once you find that, everything has melted together, set the pan aside, and allow the mixture to cool down to 105 deg F.
Mix the water and Iye in milk, a separate bowl. You should be very careful at this point of time, because the chemical reaction between lye and water would cause the mixture to heat up, possibly to 300 degrees. Continue stirring the mixture until the Iye is dissolved. Leave the mixture to cool down. When both the mixtures have cooled down, mix the oil mixture into the Iye mixture. Now, wait for the mixture to get thick. The proper thickening point is when a slight coating remains on the spoon when you stir the mixture. It may take a long time, but you will have to stir it from time to time. When the mixture thickens, you can pour it into the molds (make sure to keep some newspapers underneath, to avoid any mess). Get plastic wrap and cover the molds with it and wrap them in a blanket. You will find that the covering becoming hotter initially. You have to keep the moulds covered for at least 24 hours. You can unwrap the blanket once it has cooled down properly. After you unwrap and unmold your milk soap, leave it unused for at least 3 weeks. This time will allow the soap to get firm. Remember, the longer it ages, the better it would be.